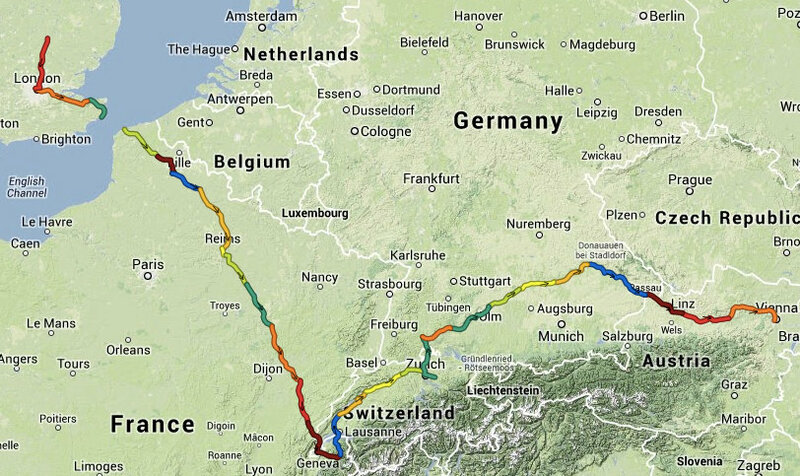 a rather pretty map with each day of cycling in a different colour. Adze says I’ve done 2,695km and climbed 40.5km! in 275 hours. I reckon it’s another 2000 or so km to The Black Sea. Now to brave the weather and see if Bike7 in Vienna have fixed the bike.